German Shepherd Dog Forums > The Puppy Place > Ears Up?????? > My Lola at five months. Is there still hope for her ear? My Lola at five months. Is there still hope for her ear? This is my Lola girl at 5 months. 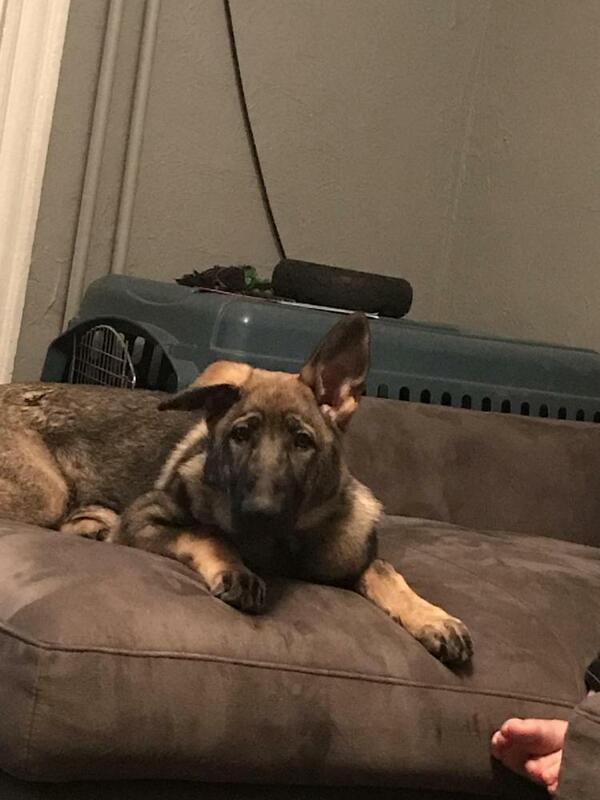 Was wondering if there is still hope for her ear to stand. It goes up when she wants it to but then falls back down. I am not sure if it helps or not but my breeder told me to feed liver (chicken or beef) to help with dog ear. Either way ... but I gave raw and sometime cooked/mixed with food. Thanks for the tip I will give it a try.